“nearly half of Israeli Jews said that Arabs should be expelled of transferred from Israel”. 79 per cent agreed — including well over 95 per cent of those who are religious and those who received a Jewish education. We seem to be seeing a major split in World Jewry over the policies of the state of Israel. A couple of recently-published articles are indicative of this. One is a July 23 article that appeared in the Times of Israel about a new study that found, among other things, that diaspora Jews don’t feel the Israeli government is sincere about seeking a peaceful resolution with the Palestinians. Here is a brief excerpt. World Jewry is finding it increasingly difficult to support Israel due to its ongoing conflict with the Palestinians, leading many communities to shun discussing the Jewish state altogether, a new major study has found. The trend is eroding the Diaspora’s support for the Jewish state, warns the report by the Jewish People Policy Institute think tank, to be formally published next week. Diaspora Jews, the report goes on to mention, are asking for an increased say in how Israel conducts its affairs. “Stop it! You’re making us look bad!”–that, essentially, when you boil it down, is what the diaspora Jews who responded to the survey are saying to the Israeli Jews. The other article indicative of the split is an op-ed piece in the New York Times, published coincidentally the same day as the Times of Israel article, written by a Palestinian resident of the village of Susiya. Susiya is a West Bank village which, as I reported in a couple of recent posts (see here andhere), is presently under an Israeli demolition order, and an international campaign has been launched to try and save it. Hardly any wonder, then, that diaspora Jews are starting to question whether Israel is really “sincere” about achieving peace–although one would perhaps allow that it is rather astonishing it has taken them this long to reach that conclusion. At any rate, the decision by the New York Times to publish the piece by Nawaja would suggest that the split between diaspora and Israeli Jews is real and growing. Israel has been building illegal settlements in the West Bank for years. When did the New York Times ever voice any objection to it? I’m not aware of it if they ever did. What has changed now? Perhaps it is that financially and politically powerful Jews, by virtue of the fact that Israel’s behavior has grown so egregious, are beginning to see the Jewish state as a threat to themselves and the empires they have constructed in their countries of residence. This is the subject of an article by Ariadna Theokopoulos and recently published at The Ugly Truth. While being a Jew means never having to say you are sorry or engaging in delayed gratification, JP [“Jewish power”-ed.] has global agendas that do not welcome the light in which Israel defiantly basks, and, by association, draws attention to Jewish misdeeds worldwide, including the hijacking of power in the western world. 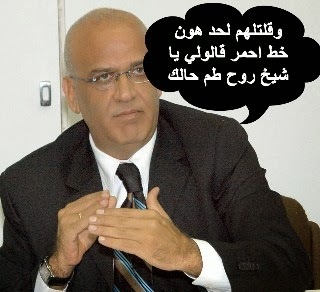 It wants Israel to be mindful of PR. Israel’s treatment of the Palestinians whose land they took over has been beyond despicable from the very beginnings of the state, yet well-organized hasbara has managed to inculcate into the minds of the Western Goyim the dichotomy: Palestinians/Arabs/Muslims = terrorists vs Israeli Jews = peace-loving, long-suffering victims. Not so anymore. Israel is no longer seen as even a “legitimate” state but a rogue nuclear power, a racist, expansionist war criminal and war monger. Of more concern, in attracting scrutiny to its successful flouting of international laws, it has led to an examination of what exactly allows it to act with complete impunity. It has exposed the lines of power that move the governments of the major world powers, like puppets on a string, to act as its enablers, indeed as its agents. The lines are now seen by more people than ever before to lead to the Jewish lobbies, to the ZPC, which does not reside in Israel, but permeates the power centers of the US and the UK, and not only. You can go here and read the full article. 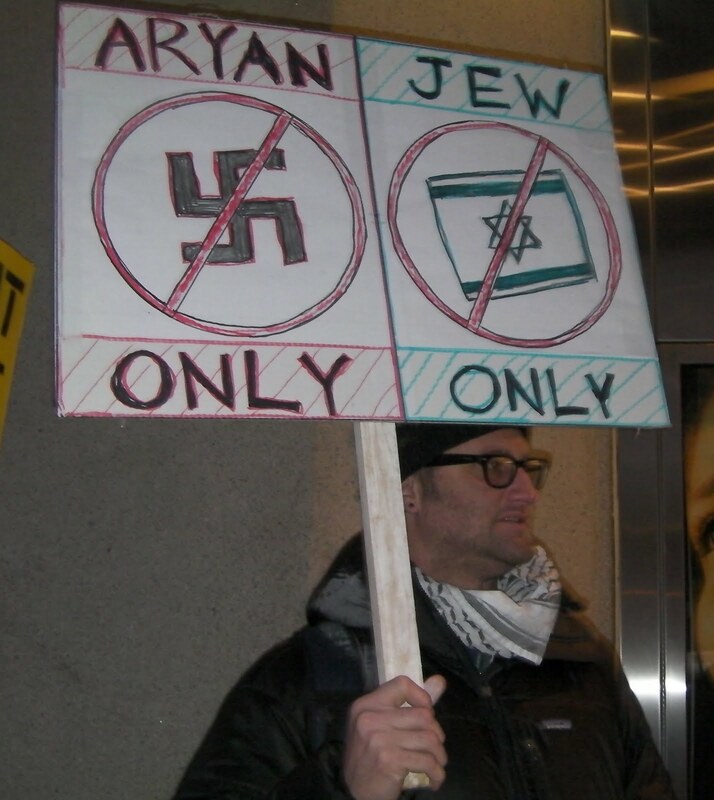 Jews have accrued enormous power in the US and other Western countries. That is a statement that will get you accused of anti-Semitism, but it is also an undeniable fact. And as Theokopoulos correctly points out, Israel’s actions, and its ability to violate international law with impunity, are drawing attention to that power. Every time Israel tears down another Palestinian village or goes on a rampage and kills another four or five hundred children in Gaza, what do you suppose diaspora Jews feel? My guess is a rising level of nervousness and discomfort. Surprise! State Dept. Calls on Israel to ‘Refrain’ from Demolishing Village! The Zionist occupation forces accompanied by bulldozers stormed on Wednesday a Palestinian neighborhood in the occupied Jordan Valley region where they demolished a number of makeshift structures, which, they claimed, had been built without licenses. “Israeli forces demolished three makeshift homes and barns in the Ein Karzyielia area of the Jordan Valley region, one home in the area was demolished for the fourth time,” eyewitnesses said. Ein Karzyielia falls within “Area C,” which covers nearly two thirds of the West Bank and remains under full Israeli civil and security control as stipulated by the Oslo II Accord, which was signed in 1995 between the Zionist entity and the Palestinian Authority. The occupation authorities prohibit construction of cement and/or iron structures in the strategic Jordan Valley region, an agriculturally-rich area running along the Jordanian border. The entity sees the strategic valley as an economic and security buffer zone for occupation settlements and wants to keep the region under its control in any future peace deal with the Palestinians. Palestinian president Mahmud Abbas said Wednesday talks with ‘Israel’ are still on the table, despite moves against the Zionist entity at the UN and numerous failed rounds of negotiations. Abbas was addressing the Palestinian leadership at the opening of a two-day conference in the West Bank to discuss the future of the Palestinian Authority (PA). “We ask all countries of the world to recognize the state of Palestine,” he said. Sternhell refers to Israel as ‘an extraordinary laboratory in which one sees the gradual erosion of enlightenment values, namely the universal values I mentioned’. In fact, the state of Israel was conceived and built not on enlightenment values but on their negation. The Enlightenment freed Jews living in western Europe from the legal and social discrimination from which they had suffered for centuries. Zionism ‘liberates’ the Jews through the continuing oppression of the Palestinians. This process began with Herzl and has continued until the present day and the fact that Israel is NOT a state built according to enlightenment or universal values is the core of its problems. The central imperative of Zionism was to take the land of the native population, then get rid of them and hide the crime by obliterating all traces of their presence. The stolen land was subsequently parcelled out to ‘socialist’ kibbutzim where membership was only for Jews. He continues: ‘It’s true that the Palestinians don’t have the strength, the leadership, the necessary elite, the mental fortitude to recognize the fact that 1949 was the end of the process. They don’t have to see it as fact but they need to understand that it’s the end. Quite clearly 1949 was not the end, even if it was not the beginning either: that goes back to the late 19th century. ‘They need to understand’ is the voice of the colonial master speaking down to the natives. The unspoken basis for ‘they need to understand’ is not morality or justice but military power. The Palestinian right of return has been enshrined in the body of international law ever since 1948, and in his response Sternhell stands justice on its head. 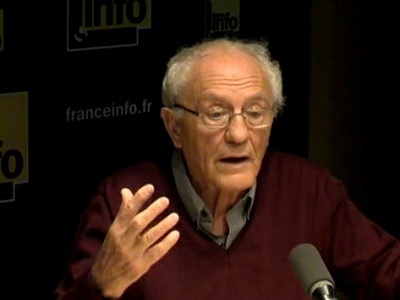 Defending the right of return is counter-productive; surrendering it would be productive; the victim has to pay for the crime and not the perpetrator; it is the perpetrator whose security has to be guaranteed and not the victim; it is the Palestinians who are blocking the road to peace by defending their right and not the perpetrator by refusing to deal with it. The most recent onslaught on Gaza is not an aberration. Israel has been killing Palestinians for nearly seventy years. Sternhell recognizes this but does not acknowledge the ideological drive behind this long-running war, which is not just about defending what was taken in 1948 but consolidating Zionism’s hold over all of Palestine. It is said that the 19th century architects of the Zionist project did not know that Palestine was already settled. ‘A land without people for a people without land’ was a phrase used by the Zionists as well as their Christian sympathisers. It was a fabrication because while Jews planning to go to Palestine may have had hazy ideas on this subject the founders of the Zionist enterprise were well aware that Palestine already had a people who somehow would have to be removed. Ismail Shammout 1930-2006. He was expelled from Lydda in 1948. The plight of the refugees is depicted in many of his most famous paintings. Thanks, Palestinians, for St George! Whether or not Gaza was ‘preordained,’ or the Israeli invasion inevitable, Polk’s pointed reminder of the connection between the present Israeli invasion and the events of 1948-9 was but one of a number of assertions about the very same connection. Suddenly, it was 1948 all over again. It is no surprise, then, that by 1948-9, the US felt ‘stuck,’ as it confronted its failed efforts to resolve the conflict whose origins they clearly understood. By then, moreover, they had also understood that without addressing the core issues at stake, there would be no solution to the conflict. Those core issues consisted of the repatriation of Palestinian refugees, the determination of internationally accepted boundaries, and the fate of Jerusalem. Despite its avowed support for consensus between Arab and Jew as the essential prerequisite for a resolution of the conflict in Palestine, US officials supported the policy of ‘transfer,’ which in effect meant the coercive expulsion of Palestinians from their towns and villages to assure Israel a homogeneous population. Moreover, despite Washington’s recognition of Israeli responsibility for the Palestinian refugee problem and its repeated endorsement of UNGA Res 194, whose recommendations included the repatriation of Palestinian refugees by Israel, by 1949 the US government moved to defer to Israel policies. Why? There was no conspiracy involved. There was no wavering at the top. The US was not ambivalent about what policies to pursue. On the contrary, the decision to stop pressuring Israel to take action on the refugee question, and to lay low in opposing Israel’s territorial expansion, were unmistakable signs that there was a shift in priorities. US officials understood the Israeli reliance on force to expand and control territory, which they criticized while recognizing Israel’s military superiority as compared to that of surrounding Arab states. It was on the basis of such force that Israel altered the balance of power in the Middle East in 1948. And it was on the basis of such developments that Washington calculated that Israel could be useful in the protection of US regional interests. The result was a corresponding lessening of pressure on the Jewish state to repatriate Palestinian refugees and to clamp down on its territorial expansion. There was no contradiction in US policy; the move corresponded to priorities in which Palestinian rights had no place. Yet successive administrations continued to recognize the importance of the core issues while not moving to implement them. This is not to ignore the acceleration of US military and financial support for Israel that increased exponentially after the 1967 war. 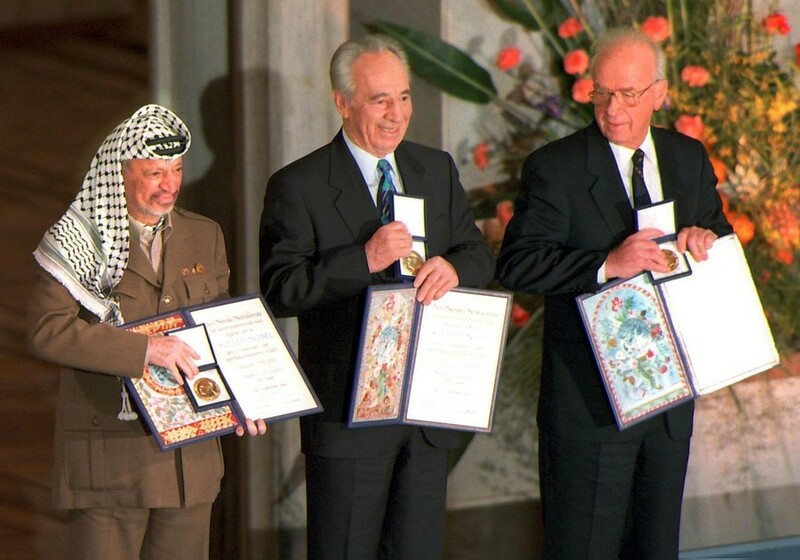 It is simply to draw attention to early US recognition of the role that Israel would play in US regional policies, those dedicated to the protection of its interests in oil and defense, and to the containment and repression of radical and nationalist forces across the Middle East. US support for Israel’s repeated invasions of Gaza and its continued occupation of the West Bank are part of this, as is the indispensable US role in providing military support that has allowed Israel to pursue its destruction of Gaza in 2014. In short, it’s important to make the connection between Israel’s war on Gaza in 2014 and the events of 1948, but it is no less critical to confront the US role. Irene Gendzier was a long time member of the Boston University faculty, having taught in the Departments of History, African Studies and Political Science. She is the author of the forthcoming book, Dying to Forget: the Foundation of United States Foreign Policy in the Middle East, 1945-1949, Oil, Palestine and Israel, Columbia University Press; and she is also a member of the IOA Advisory Board. The Palestinian leadership won’t do it – will you? (London) – Unbelievably, President Mahmoud Abbas and his hapless crew in Ramallah promised the US not to file charges against Israel in the International Criminal Court. Meanwhile the Israeli regime is accelerating its squatter programme on Palestinian territory even in the middle of so-called peace talks, increasing its air strikes and generally upping its aggression. 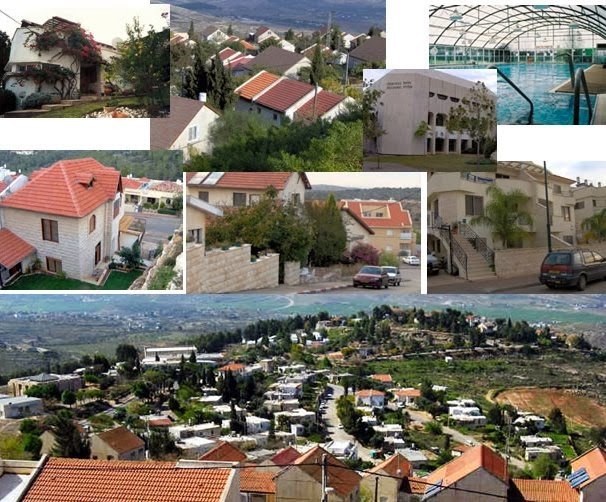 The building of illegal squatter settlements has been going on unchecked since 1967, the aim plainly being permanent occupation and eventual annexation. Yet the Palestinian leadership remains fearful of using the proper legal channels to pursue legitimate claims to freedom, self-determination and the return of their lands. Abbas prefers instead to cling to the discredited, ‘kangaroo’ peace process promoted and facilitated by crooked elements in the US administration allied to AIPAC and other pro-Israel influencers. It has been clear for some time that civil society and Palestinian solidarity movements around the world must come together and prod the ICC into taking action on its own initiative against Israel’s war crimes. One of the most urgent issues is the illegal transfer of portions of Israel’s population into squats or ‘settlements’ on stolen Palestinian lands. Over 600,000 Israeli squatters are now reckoned to be deliberately parked on the wrong side of the border in order to colonise choice areas of the West Bank, and they will be joined by thousands more as a result of new settlement construction tenders recently issued by the Israeli authorities in defiance of international law and the Geneva Conventions of 1949. Many of the squatters are armed thugs, hooligans and vandals, dedicated to harassing local Palestinian communities and wrecking their property. The UN says the colonisation is “creeping annexation”. It is imperative that these crimes and abominations are not only halted but reversed. 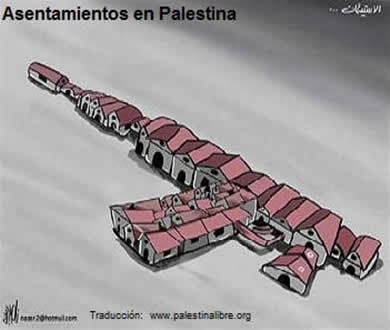 Palestinians are entitled to rid themselves of the squatter menace. But who’s to start the legal ball rolling? Who can be trusted to resolutely press the Palestinian case? A further warning comes in a report https://www.middleeastmonitor.com/news/middle-east/9071-pa-offers-to-sell-egypt-fuel-donated-to-gaza-by-qatar that tells of a confidential letter in which the Palestinian Authority offered to sell Egypt fuel donated by Qatar to operate Gaza’s power plant. As the whole world knows, the Gaza Strip has been in the grip of a power crisis for nearly 8 years as a result of Israel’s blockade. Very little of the Qatar consignment reached Gaza, says the report. And recently, when the tanks ran dry, the situation became acute, bringing Gaza’s fragile economy and public services to a standstill and causing great hardship and danger to public health. Interestingly, the report says Qatar intervened to solve the latest electricity crisis in Gaza and paid $10 million to the Palestinian Authority to meet the value-added tax on fuel which it had increased without notice. If the story is true, it illustrates the kind of low-life Abbas has surrounded himself with. Quite obviously such people cannot be entrusted with the hopes of an oppressed nation. So it’s up to civil society to set an example, brush aside the political posers and take direct action. As it happens a specially drafted letter to the ICC has suddenly popped into my inbox. It appears to have originated from the Sabeel International Conference in Jerusalem last autumn. Sabeel is a peace movement formed by Palestinian Christians in the Holy Land. The idea is for thousands of copies of the letter to be sent by individual activists and groups from all over the world. I hear the wording has been put through the wringer by a legal team, so activists are asked to stick to the suggested text – simply copy and paste it into your word/document program, add the date and your name and address, print, sign and post (by snail-mail). I urge that an investigation be initiated by the Office to determine whether war crimes have been committed in connection with the transfer of civilian population into territory of Palestine that is under the belligerent occupation of Israel. Power for the initiation of such an investigation would appear to exist under Article 15 of the Statute of the International Criminal Court. It is my understanding that such transfer has occurred in a manner that appears to constitute a violation of Article 8 (2) (b) (viii) of the Statute. From facts available in the public domain, such transfers have risen to the level of seriousness required for action by the Court. Transfers of thousands of civilians have occurred. Harm has been caused to thousands of victims. The fact of a violation of the comparable provision of the Geneva Convention Relative to the Protection of Civilian Persons in Time of War of 1949 has been determined by United Nations organs, including the General Assembly, the Security Council and the International Court of Justice. That provision applies to actions of a state. 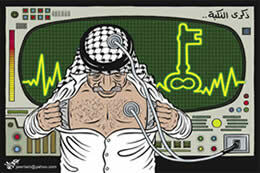 These organs have determined a violation by Israel. I also understand that the Court has jurisdiction over persons potentially responsible for such transfers. 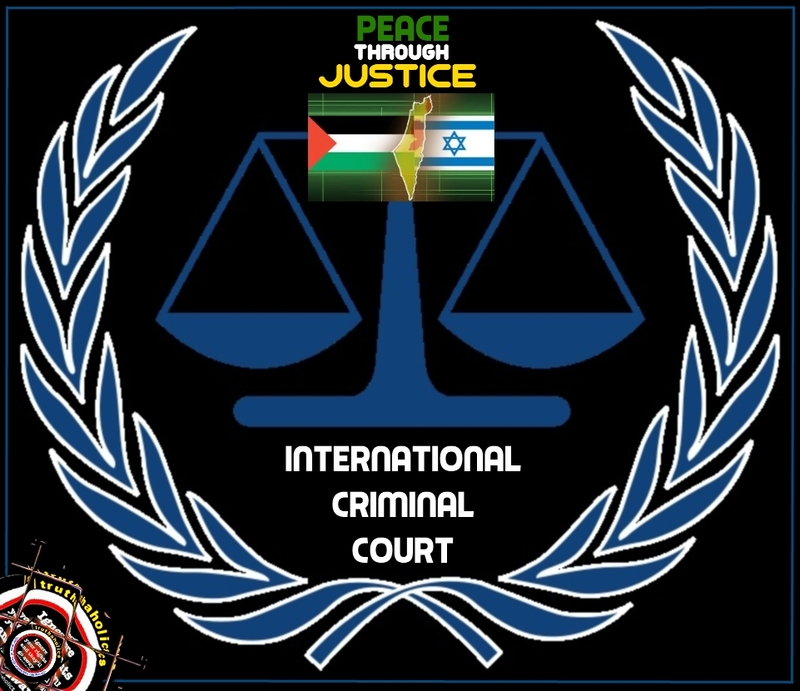 The declaration lodged with the Registrar of the Court by the Government of Palestine on 21 January 2009 under Article 12 (3) of the Statute confers jurisdiction over war crimes committed in the territory of Palestine since 1 July 2002. Transfers are continuing at present in great numbers, consequently the crimes in question are ongoing. The matter is now pressing and I therefore feel it imperative that an investigation be initiated without delay, lest additional thousands of persons be victimised. I only heard about it by chance. If good ideas like this are to work they need the support of large numbers. Therefore the various proactive groups must come closer together, communicate and co-ordinate! Has the letter taken off? Have thousands been sent? I simply don’t know… But I’m posting mine today. Stuart Littlewood is author of the book Radio Free Palestine, which tells the plight of the Palestinians under occupation. Stuart’s articles are serious and revealing; they address the pertinent issues regarding Israel and Palestine and sixty years of conflict that have devasted millions of human beings. For further information please visithttp://www.radiofreepalestine.org.uk/.